Join us for an inspiring afternoon and earn IDCEC credit at this highly-anticipated event! 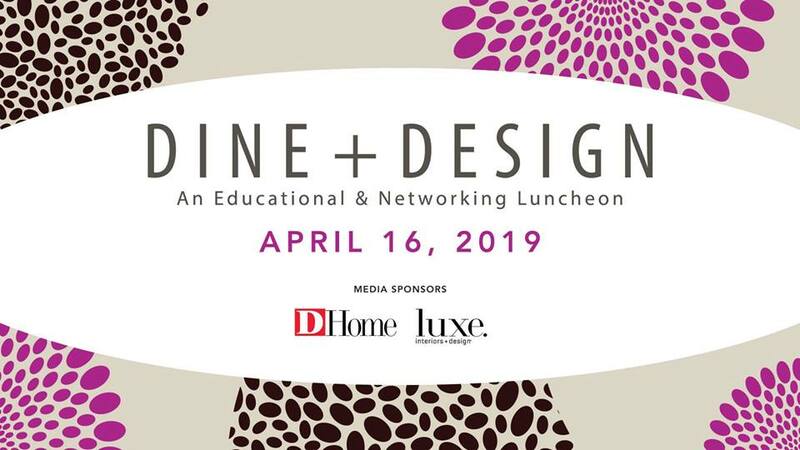 Cocktails and networking take place at noon in the World Trade Center Atrium, followed by a luncheon presentation at 12:30PM on WTC 6 featuring award-winning design industry experts Gary Inman and Donna Vining. Plus, don't miss your chance to enter the amazing Dine + Design GIVEAWAYS with select prizes worth $20,000!